The headline is true. Two former WWE pay per view guests will be doing battle this Saturday night at Stride Pro Wrestling. 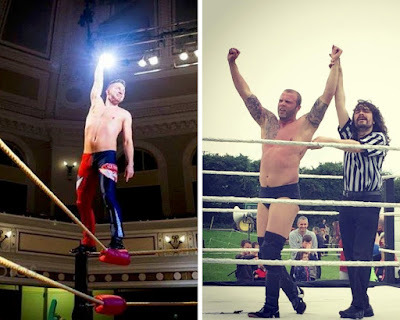 In 2012 Jay (Heath) Hatton and Aaron Relic (Ace Hawkins) teamed up and took on Ryback at Extreme Rules. The duo didn't fare well, but having known both men from their time in All American Pro Wrestling, I couldn't have been prouder. 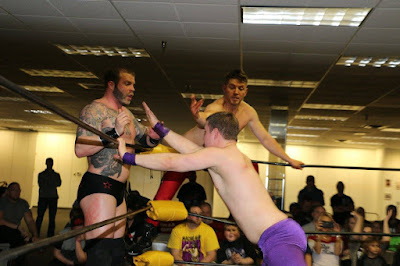 Fast forward to present day, the '2 is Greater than 1' duo is part of Stride Pro Wrestling. Hawkins' appearances have been more sporadic, but he's always a welcomed guest here as the fans in southern Illinois have grown to love his work in the ring. Hatton, of course, has been a staple in Stride and a former heavyweight and Legacy champion. The two have teamed up here and have similar foes. However, the two are about to find themselves on opposite sides of the ring. 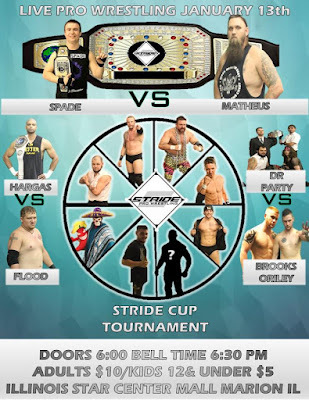 That's right, Hatton and Hawkins are signed for the opening round of the Stride Cup Tournament. 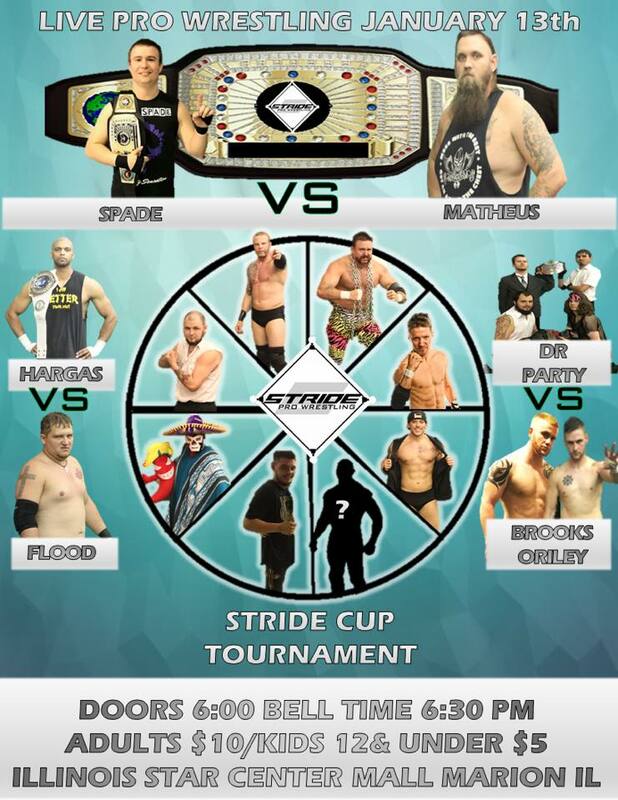 Eight men are battling for the first-ever Stride Cup. 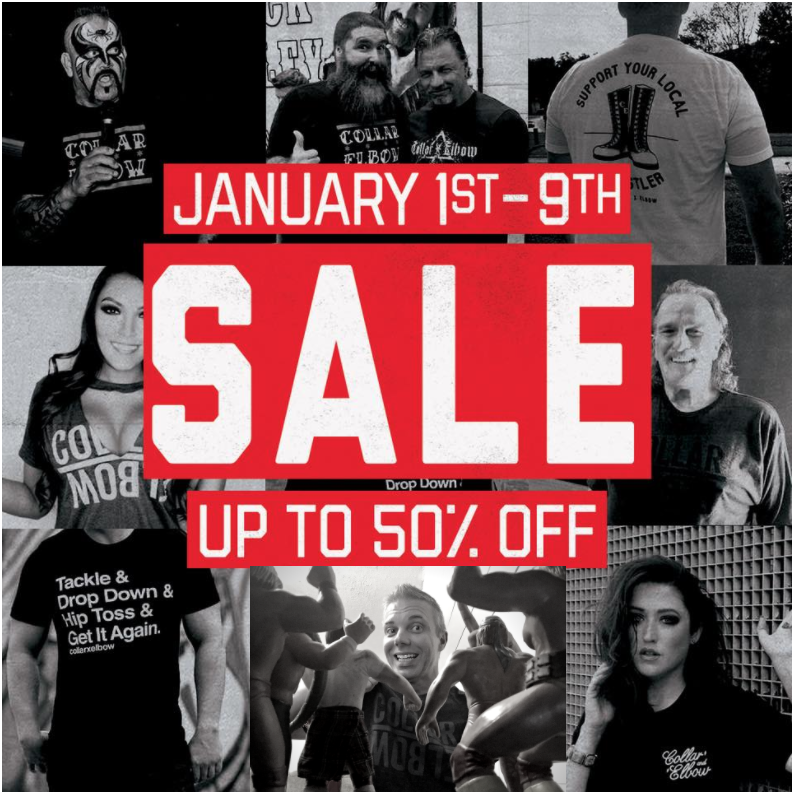 In addition to the abovementioned stars, you'll also see Ax Allwardt, JD Wilk, El Magnifico, Brian Richards, Shane Lauder and a yet to be announced wrestler in the tournament. Hatton and Hawkins have a wealth of experience in the ring. Not only have they torn things up on the indy scene here in the Midwest, they've also had big opportunities to wrestle overseas. Those experiences in Europe along with the short time with WWE peppered with their years on the indies, it's going to be an exciting match and will likely steal the show. Come check out the Stride Cup opening round and all the other action this Saturday night. Bell time is 6:30 p.m. at the Illinois Star Centre Mall in Marion. Tickets are $10 for adults and $5 for kids.